Weekend Getaways for Girls Who Just Want to Have Fun! Nobody understands you like your besties. You can look at one another and not exchange words and know what’s up because your vibe is in sync. Sometimes it’s fun to leave behind the husband or partner and the kids and hit the road for a marathon of memories with the girls. You can let loose, be yourself, and nobody’s going to judge you. What’s to debate? If the biggest question is where to go, relax—here’s a good place to start. 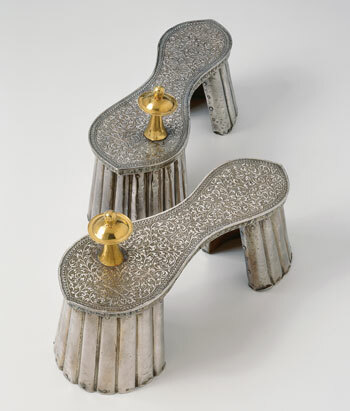 Currently on view in the semi-permanent exhibition, Fashion Afoot, at Toronto’s Bata Shoe Museum. You know your U.S. dollars will go further in Canada right now. Get ready to shop, eat, and enjoy all Toronto has to offer. Do brunch with the Culinary Adventure Company at the hipster hood of King/Queen West with its lively streets, cafes, and bars and unique restaurants. There’s the Kensington Market for a mashup of shops with goodies from Europe, the Caribbean, Middle East, South America, and Asia. Wind your way through vintage clothing shops, exotic spices, sweet treats, and restaurants. Later stop for tapas and cocktails at Bar Raval. 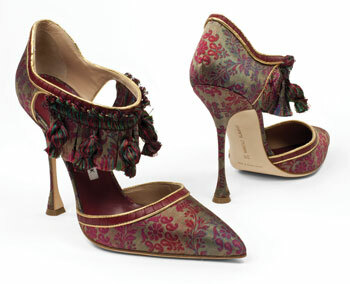 Don’t leave town without a visit at the Bata Shoe Museum. 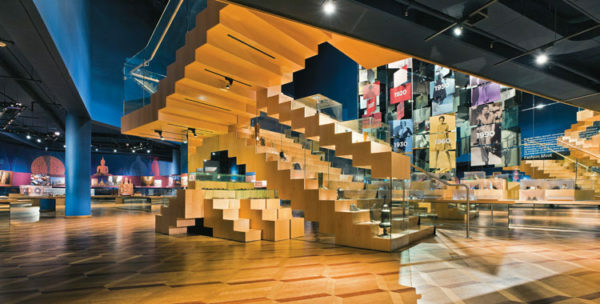 Get a load of the 13,000 shoes and related artifacts that span 4,500 years of history. For upscale scenery and shopping it’s Yorkville. Explore the charming courtyards, Victorian homes, boutiques, shops, and galleries. Bloor Street is called “Mink Mile” for its high-end designers, like Louis Vuitton and Tiffany. If you and your friends are looking for happiness, why not go to “One Happy Island”? 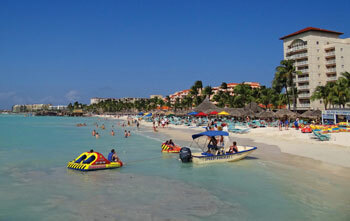 Aruba is known for its beaches, cuisine, SUP yoga classes, windsurfing, kayaking, and boating. But it’s also home to Arikok National Park, with its 20 miles of rugged and wild, desert-like terrain waiting to be explored on an ATV, UTV, Jeep Safari, on horseback, or on foot. Check out the pools and caves. If you dare, skydive. Or if you all are birders, the Bubali Plas Bird Sanctuary, with its bird-watching tower that overlooks marsh areas, is a must-see. And there are no worries when you get ready to eat and drink. The options are plentiful, whether you want old-style Cuban cuisine or someplace chic, like Pinchos, a grill and bar on the pier at the Aruba Surfside Marina. The Aruba Marriott Resort & Stellaris Casino is a popular place to stay. Vacationers at Palm Beach, Aruba. With more than 150 lodging properties to choose from, countless vacation rentals, 75 restaurants, 11 golf courses, 13 ski resorts and XC Centers (in the winter), and tax-free shopping at 200 outlets, shops, and boutiques, Mt. 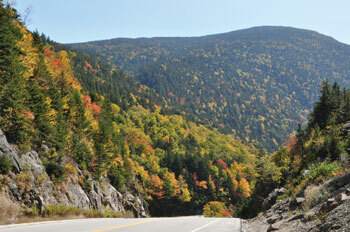 Washington Valley, New Hampshire, should probably be on your list of trip possibilities. Mt. Washington Valley, the region that surrounds the tallest peak in the Northeast (Mount Washington), is located in the heart of the 660,000-acre White Mountain National Forest. Your biggest dilemma is deciding which of the many activities to do—hike; bike; camp; golf; watch wildlife; take a moose, nature, boat, or ATV tour; rock climb; zip line; or jump on a mountain coaster? Then there’s tubing or canoeing down the Saco River. For sure, this is a destination for thrill seekers. White Mountain National Forest, home of Mt. Washington Valley, New Hampshire. If you and your gal pals are adventure lovers, check into the Red Mountain Resort, burrowed in red rock bluffs in southwestern Utah. Downward dog while overlooking the canyons, bike through the red rocks, hike through Zion National Park or Snow Canyon, or choose a class like outdoor digital photography or chakra balancing. You can do daily activities as a group or go solo and come together for mealtime. After a day of action, wind down at the Sagestone Spa & Salon. The Himalayan salt stone massage and Red Mountain revitalizers are favorites. The resort’s special Girlfriends’ Getaway Retreat includes unlimited fitness classes, a 50-minute Sagestone customized massage, and more. For girls who love luxury, the Grand Velas Riviera Maya all-inclusive, AAA Five-Diamond resort awaits. On 206 acres of pristine jungle and mangroves and white-sand beach, the oceanfront grand class section is adult-only and offers designer-like suites of more than 1,300 square feet, balconies, and private plunge pool. During the day, you and your girlfriends should opt to visit Se Spa, the region’s largest spa sanctuary at more than 90,000 square feet, known for its authentic Mexican treatments, offerings from around the world, and signature seven-step water journey. Foodies can experience inspired dishes of the region during a Yucatecan cooking class, where Mayan Chef Humberto May Tamay teaches guests traditional recipes. Other features include a 24-hour personal butler concierge, 24/7 in-suite service, three swimming pools, two fitness centers, water sports, a karaoke bar, and a koi lounge. Venture off-property to visit the area’s cenotes, Mayan villages, and adventure parks. Austin is the live-music capital of the world and has world-class museums and great food. The Archer Hotel’s getaway package makes visiting easy. Archer Hotel Austin’s “Girlfriend Getaways: By Ages and Stages” package is all about Texas-sized fun. A hostess in advance or on property who is of like age will help you fill out your group’s itinerary. Find out the hotspots to dance, bar hop, drink wine, view art, or whatever gets you going.